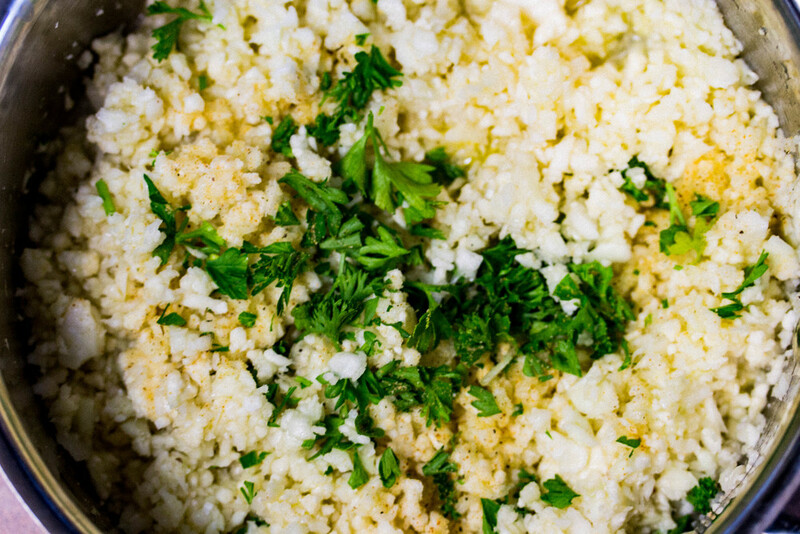 Cauliflower rice is such a simple recipe that can be served with numerous dishes. I love the versatility where I can add it in replacement of rice in soups, sides, fried rice, you name it the possibilities are endless! This is just a simple recipe that will go with any flavors, but feel free to add different spices to accommodate your meal! 1. Chop the cauliflower into big pieces, removing any greens. 2. Place cauliflower into food processor or Vitamix and gently pulse until cauliflower becomes fine/grain-like texture. 3. Melt ghee in pan and add bone broth. 4. Once combined, add cauliflower and garlic seasoning and cook on medium until cauliflower softens. 5. Serve garnished with parsley and more seasoning.